A Doctor in your Pocket. 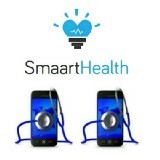 Smaart Health is an Artificial Intelligence powered smartphone app, which allows you to carry out on demand medical diagnosis. It is vital for a person to shave their armpit. Long hair in the armpit traps sweat and odours. You can now have access to a 24hrs virtual healthcare with a press of button on your smartphone.